Start selling CORAL and AMAZONAS in your store. Call or write our friendly sales department today. Welcome to the Reef to Rainforest Magazine Direct-to-Retail Sales Program – International Fact Sheet. For US-Based Retailers, visit our US Fact Sheet. 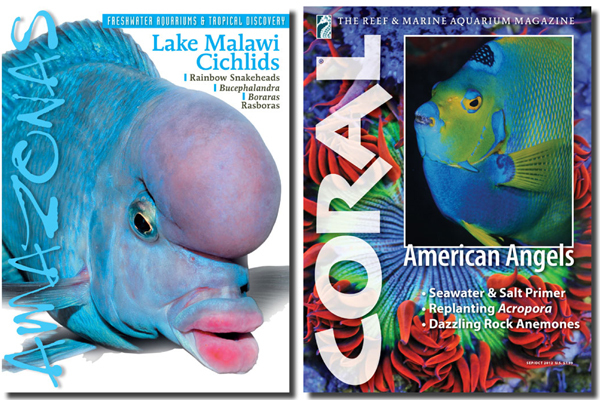 CORAL (marine) and AMAZONAS (freshwater) are the world’s leading aquarium magazines, read by beginning aquarists and seasoned marine scientists and professionals alike. Research shows that readers of magazines spend more on their hobbies and spare time pursuits than non-readers. 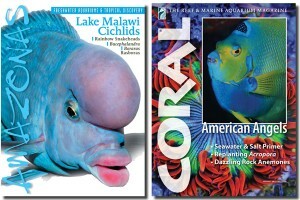 Keep them coming back to your store by by being a source world-class aquarium magazines. Depending on your store offerings, you can sell one title or both. Pricing and details are the same for CORAL and AMAZONAS. Based upon your results, you can adjust the number of copies you receive at any time. International Shipping: Shipping to Canada and Mexico is available at a flat rate per copy of $1.50. All other worldwide shipping is available at a flat rate per copy of $2.00. We use USPS International Priority Flat Rate to ship. Delivery is usually 6-10 business days to many major markets but actual transit time may vary by destination. Frequency: Each title is published 6 times per year in alternate months. You can order one title or both. Terms: Payment is made upon shipment by recurring charge to the authorized credit card account you have provided. Questions? Our knowledgeable and friendly customer service team is ready to help you with ANY questions about your account and the CORAL – AMAZONAS Retail Sales Program.